Melania Trump will be the first non-U.S. born first lady since? By Louis Jacobson on Monday, July 18th, 2016 at 10:55 p.m. 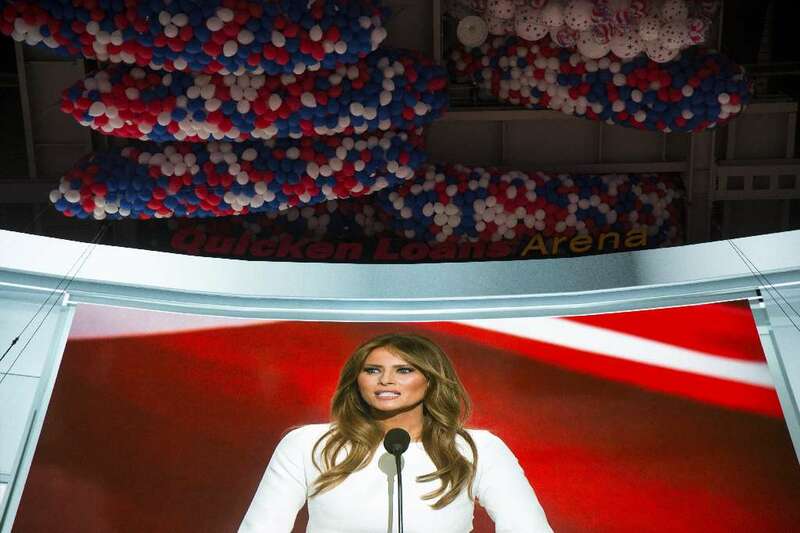 In her speech at the Republican National Convention in Cleveland, Melania Trump told the crowd, "I was born in Slovenia. A small, beautiful, and then communist country in central Europe." As she told her personal story, we wondered about how unusual her birthplace would be for a first lady. As it turns out, only one first lady has been born outside the United States. Louisa Catherine Adams -- the wife of John Quincy Adams, the sixth president (1825-29) -- was born in London to an English mother and an American father who served as U.S. consul, according to the White House. She is currently the only First Lady to be born outside the United States. "A career diplomat at 27, accredited to the Netherlands, John Quincy developed his interest in charming 19-year-old Louisa when they met in London in 1794," according to the White House website. "Three years later they were married, and went to Berlin in course of duty. At the Prussian court she displayed the style and grace of a diplomat's lady; the ways of a Yankee farm community seemed strange indeed in 1801 when she first reached the country of which she was a citizen." Her life proved both rewarding and challenging. She joined Adams in Russia with a two-year-old; another infant daughter born there did not survive long. She later joined Adams in postings in Ghent and London, but doing so required "a forty-day journey across war-ravaged Europe by coach in winter; roving bands of stragglers and highwaymen filled her with ‘unspeakable terrors’ for her son," according to the White House. Louisa Catherine Adams appears to have relished a relocation to Washington in 1817, but Adams’ presidency came during contentious times, and she suffered from deep depression. Adams, who followed his presidency with a long tenure in the U.S. House, died in 1848, a year after their 50th anniversary. She died in Washington in 1852. "Her father, a larger-than-life personality who reminds her childhood friends of Mr. Trump, belonged to the Communist Party, an exclusive club whose members sometimes joined because of career ambitions as much as ideology. Her mother, an industrious and striking woman, went from harvesting red onions on her family’s farm to a career in the town’s textile factory. She always found time to make sure her two daughters dressed to impress, sewing clothes for them after her work shift ended."